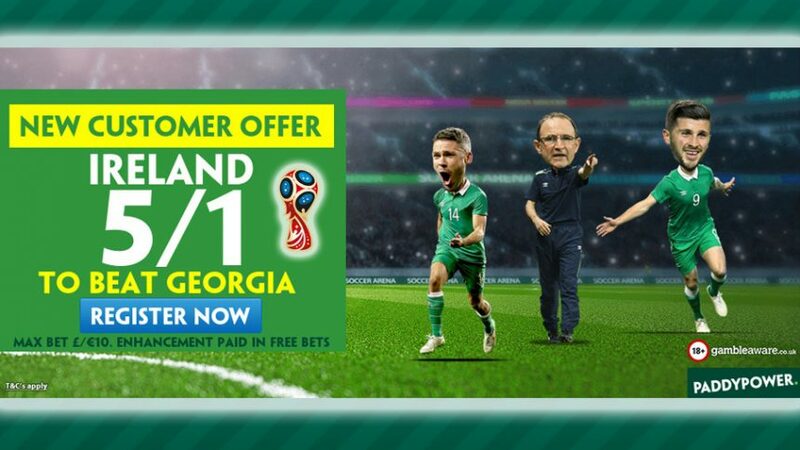 Back Ireland to beat Georgia in tonight’s WC qualifiers and Paddy Power will reward you with £50 thanks to Today’s Enhanced Odds. Place a £5 wager on the Green Army to beat Georgia and collect ten times that at the finish line with Today’s Enhanced Odds! This offer is open only to real Irish fans, so if you’re not one of them, please turn away now and go read some tabloid news about footballers’ girlfriends. But if you’re looking for a double win (Ireland victory and personal betting victory), then bet on Ireland before 19:45 BST tonight (October 6) to earn yourself a cool £50! You’ll receive your winnings – if Ireland win the match – based on the normal odds on Paddy Power; the rest of the funds will be transferred to your account in Free Bets, which will see you get the full 6.00 (5/1) odds advertised with Today’s Enhanced Odds. 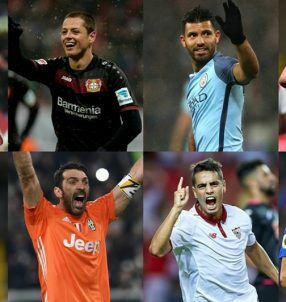 Don’t forget to reinvest the winnings in other games during the international break to make even more money! Note: Today’s Enhanced Odds are open to residents residing in the UK and the Republic of Ireland. Ireland boss Martin O’Neill stressed that ‘every game is important’ no matter how big or small the opponent is, while issuing a warning about Georgia’s threat. Collect an easy £50 with Today’s Enhanced Odds on the Green Army! Collect an easy £50 with Today’s Enhanced Odds!